Black Diamond Technologies Limited (BDT) appointed as the exclusive distributor of Climaveneta Chillers, Air Handlers and IT Cooling Solutions in New Zealand and the South Pacific. Darryl Rochester, Managing Director of Black Diamond Technologies Limited (BDT) is pleased to announce that BDT has been appointed as the sole distributor of Climaveneta Chillers, Air Handlers and IT Cooling Solutions in New Zealand and the South Pacific from the 1st of February 2019 onwards. This follows the acquisition by Mitsubishi Electric Corporation of DeLclima S.p.A in 2014. The Mitsubishi Electric Corporation has renamed DeLclima S.p.A., as MELCO Hydronics & IT Cooling S.p.A. (MEHIT). The move allows BDT to now offer an all comprehensive chiller solution across a much broader and more diverse range of projects in New Zealand. Effective from 1st February 2019, all Climaveneta sales, service and spare parts, commissioning and support enquiries will be handled by BDT. Darryl Rochester, Managing Director of BDT expressed that Climaveneta is a leading, well-respected and high-quality chiller and IT cooling brand that is now part of the Mitsubishi Electric Group - a recognised global leader in the HVAC industry. Rochester said, "We are proud to be able to add these products to our existing portfolio of Mitsubishi Electric HVAC products that BDT already represents in the New Zealand and South Pacific markets." "It allows us to deliver a comprehensive and versatile range of solutions for our customers, whatever their need and regardless of whether they are involved in a new-build or retrofit situation." Mitsubishi Electric has manufactured chillers for over 45 years and has already combined this extensive experience with advanced component technology from the commercial air conditioning sector with the introduction of the innovative E-Series Modular Chiller Range in 2017. "Mitsubishi Electric entered the chiller market in New Zealand with the E-Series Modular Chiller Range in 2017, and the addition of Climaveneta Chillers marks Mitsubishi Electric's full-scale entry into the New Zealand chiller market," Rochester said. The E-Series product and the Climaveneta range make a compelling offering and complement each other with features and specifications that can match almost any application. Furthermore, each chiller is easily integrated with new and existing systems using BMS control. A major part of RSC’s aim when doing this refurbishment was to reduce the peak load of electricity used during the ski season. They required a hot water heating system that would work in the cold climate and still produce hot water efficiently. The club building is able to house up to 70 people as well as leisure, cooking, wash facilities and ski workshop facilities. Five existing hot water cylinders which used direct electric elements providing 900 litres of potable hot water needed to be replaced, alongside the heater in the drying room which consisted of a fan blowing over a 6kW heating element. The installation consisted of two 11.2kW Ecodan Hot Water Heat Pump Hydrobox Systems and two 600L Hot Water Storage Cylinders. 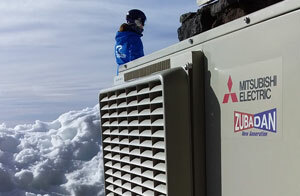 The outdoor units incorporate the Mitsubishi Electric patented Zubadan Flash Injection Technology which means they are able to maintain their full 11.2kW capacity with 55°C hot water output down to an ambient temperature of -15°C; suitable for the alpine conditions at Mt Ruapehu. The Ecodan Hydrobox contains hydraulic components, pump, expansion vessel, flow sensor and a refrigerant to water heat exchanger, making it simple to connect just water piping to the cylinders. The two 600L Cylinders contain 40m coils to maximise the heat exchange inside the cylinder. Three temperature sensors are mounted in each cylinder to monitor the tank temperature from top to bottom. Modulating control valves have been installed to balance the hot water provided by each of the two independent systems, allowing for automatic isolation of each cylinder if temperature cannot be maintained. Electric immersion elements are also installed in the hot water cylinders. These are controlled by the Building Management System to provide additional heating capacity if required during periods of high hot water consumption and to provide legionella prevention at scheduled intervals. The elements also serve as a backup heat source if the Ecodan Systems are shut down for maintenance. 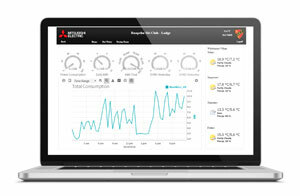 The club can reduce peak electricity consumption using the integrated FTC5 Controllers scheduling function so that hot water recovery times are outside of kitchen operating hours. As the drying room is in continuous use during the ski season, an inverter driven 3.5kW HyperCore High Wall Heat Pump provides ample heat and is also controlled remotely depending on occupancy, further improving efficiency in place of the 6kW fan blown heater. BDT provided a Building Management System to monitor and control the domestic hot water and space heating systems in the lodge. 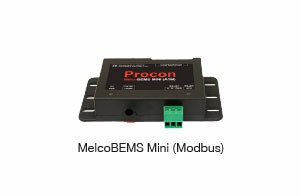 The controls package consisted of a web-enabled Black Diamond Controls Central Controller, BACnet Controller and three MelcoBEMS Mini’s to provide Modbus interfaces to the Mitsubishi Electric Ecodan and HyperCore Systems. 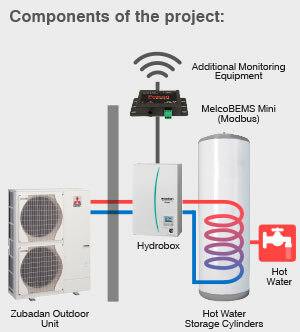 In addition, the site energy consumption is monitored via a newly installed Modbus Energy Meter connected to the main incoming supply. This allows the club to monitor their year-on-year energy savings and real time consumption. Due to the remote nature of the site, the control system was developed to provide redundancy and automated email paging in the event of faults or persistent low hot water temperature situations. The BMS provides a web interface which allows specific club member access to remotely monitor and adjust operating parameters such as temperature set point and time schedules, via a secure connection. This system has seen its first season on the mountain, having successfully delivered hot water to Ruapehu Ski Club and we will continue to monitor the system year on year. State of the art energy monitoring and management of the Ecodan Heat Pump System means families now have the visibility and freedom to efficiently manage their overall household power consumption for heating and hot water. Energy monitoring and control ensures households can take advantage of off-peak tariffs or improve the use of solar panels, providing them the ability to save even more on their power bill. End-users can now easily check the energy data of the Ecodan Heat Pump with the ability to view electricity consumption and heat output on the remote controller. Our advanced Auto Adaptation Function measures the room temperature and outdoor temperature, calculating the required heating capacity for the room. The flow temperature is automatically controlled according to the required heating capacity, while the optimal room temperature is maintained at all times; ensuring the appropriate heating capacity and preventing energy wastage. By estimating future changes in room temperature, the system works to prevent unnecessary increases and decreases in the flow temperature. Auto Adaptation maximises both comfort and energy savings. Using Ecodan, it is possible to control two different flow temperatures, thereby managing two different heating load requirements. The system can adjust and maintain two flow temperatures when different temperatures are required for different rooms; for example, controlling a flow temperature of 45°C for the bedroom radiators and another flow temperature of 35°C for the living room underfloor heating. The exact origin of using water for heating has some debate, but it dates back to around the 13th century where monks diverted river water and heated it in furnaces to warm their monasteries. With warm buildings in the cold months, the benefits of this ingenuity were obvious and over the years inventors and engineers have gradually found ways to improve on the concept. Following the industrial revolution, Charles Hood wrote the first engineering handbook for hot water heating in 1837, which was published in revised editions for 50 years. Hydronic heating systems are commonly used throughout Europe and other parts of the world. In fact today, over two thirds of the world use warm water central heating. So why is water such a good option to use? Water is abundantly available, non-toxic and non-hazardous. Water can retain heat longer than most other substances. It has a unique heat capacity; the presence of hydrogen bonds causes water to heat and cool slower than other substances. If you remember back to school science class, water has a very high “specific heat capacity”. What this means for us is once the water is up to the desired temperature in our heating circuit, the water holds its heat energy well. Therefore it is a good substance to use to distribute heat. Comfort levels are high because the whole house is heated. There is no fan blown air so circulation of allergens and dust are reduced. 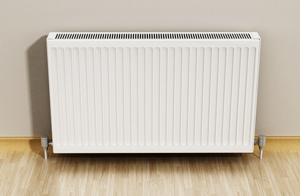 The ideal temperature to run underfloor heating is ideally somewhere between 35°C and 40°C (radiator temperatures vary according to the output capacity of the radiator). 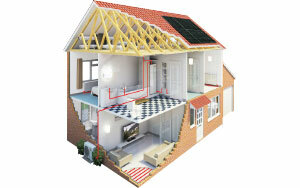 This makes using hot water heat pumps ideal for supplying heat to the emitter. When using gas or oil boilers the temperature of the water coming out of these systems is too hot for underfloor heating. As a result the water needs to be blended down in temperature to mitigate the risk of overheating the house or even damaging the floor. Aside from this, the carbon emissions of these types of heating by comparison to a heat pump is significantly higher. Gas has over 5 times the emissions and oil boilers have over 8 times the emissions of heat pumps. * This is thanks in part to the clean electricity provided to us in New Zealand by the hydroelectric stations and in part to the high efficiency of the Ecodan Air to Water Heat Pumps. 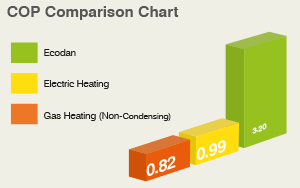 When choosing central heating, Ecodan is unrivalled for performance, efficiency and carbon emissions. *Based on New Zealand electricity grid emission factors for 2015 (MBIE) and using average COP values for Ecodan Air to Water Heat Pump based on BSEN14511 testing. In the commercial arena using water is commonplace because these efficiencies have a direct implication on budgets, as building owners take in to account running costs as a part of their budget forecast. If running costs, efficiency and being eco-friendly is so important to those building large buildings, how much more important should it be to homeowners running their own homes? When clients who design or install commercial heating systems hear about these systems they can immediately see the benefit and understand the concept as this applied engineering used in the commercial world directly translates into what we are doing domestically. The Ecodan Range by Mitsubishi Electric is unrivalled for performance, efficiency and quietness. Crucially with hot water heat pumps you want the heat pump to deliver all the heat you need without backup or supplementary heat sources. 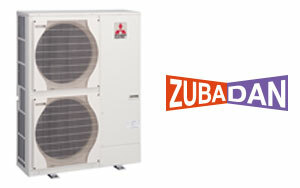 ** All units are rated at 2°C ambient, Zubadan units hold full capacity and 55°C output water down to -15°C. As the need to be more energy efficient becomes a higher priority to us, we will see that air to water heat pump systems are the future of home heating, and remember the Ecodan System can also generate all your domestic hot water too. If your client likes the idea of a hydronic heating system, Ecodan is the energy efficient answer. In New Zealand central heating is fast becoming the heating system of choice where whole home comfort is highly desirable. Whether it is underfloor heating, or radiators as used throughout Europe, both are becoming increasingly popular in the domestic market. So, the question must be asked, what is the best way to generate heat? Also, what factors are important to consider when choosing a central heating system for your client? This is a big subject to cover, and addressing it means that we will have to challenge the way things have always been done by giving detailed attention to areas we often overlook. These areas include the effects of the day to day weather on a home and if the insulation levels of the home mean that the energy use is higher than necessary. Among other factors such as location and orientation, good thermal insulation reduces the effect of the surrounding weather on a home. By keeping it cooler in summer and warmer in winter, the need for cooling and heating is reduced. Current statistics show that the highest consumers of energy in New Zealand homes are hot water (38%) and home heating (36%) which combined account for 74% of your energy use. 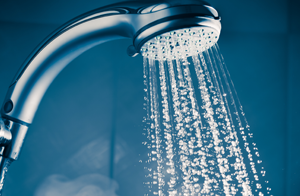 Finding the most efficient way to generate your hot water and heating therefore is an important point of consideration. The Ecodan Range of air to water heat pumps are designed to deliver efficient, renewable heating and hot water for your home. Mitsubishi Electric are once again leading the way with the acclaimed Ecodan Range, bringing intelligent, high quality whole home heating to New Zealand. Within the industry for air to water heat pumps there is some choice on the market however the performance of the units can vary significantly. A commonly used measure is the Coefficient Of Performance (COP) which is simply the amount of electrical energy consumed compared to the system heat output. A heat source that is classed as renewable is a product that outputs at least 2.5 times the energy consumed. For example, a COP of 1 : 2.5. A COP is a specific measure on a given day. So, if the outdoor ambient temperature is 15°C and the heat pump is putting a flow temperature of 35°C, it stands to reason that the COP on that day and time would read very differently to say an ambient temperature of 2°C and a flow temperature of 55°C. In this case the heat pump will need to work harder to pull heat from a colder ambient temperature and maintain a higher output. What would be more accurate is a measure that rates the system seasonal performance known as Seasonal Coefficient Of Performance (SCOP), where the system is measured against year round outdoor ambient temperatures. However, these figures can be hard to find, so how then can you make an educated choice for a system that will meet your client's needs? I would suggest that if manufacturers indicate that their systems are not suitable for colder areas of the country, or if they are reluctant to publish performance at low temperatures, then this is a good indication that their systems perform poorly in colder temperatures. This means a back up immersion heater will have to be used, compromising system efficiency and therefore increasing environmental impact and run costs. 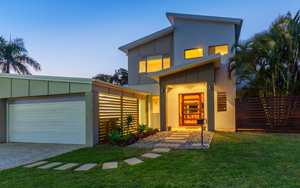 Simply put – not all heat pumps are the same. In some cases, the performance can be so poor that you would save your client's capital expenditure and run costs if you installed a gas central heating system. With a range of integrated products, Mitsubishi Electric will be bringing central heating and hot water solutions to our lineup. Our hot water cylinders are high quality products – pre-plumbed, pre-wired, low standing loss and using plate heat exchangers for high efficiency hot water generation. The flow temperature controllers are the Fifth Generation (FTC5) Controllers, with unique self-learning settings for maximum efficiency, control and feedback with energy monitoring built in. All of course tied off with a single outdoor unit with the usual high efficiency and low noise you would expect from a Mitsubishi Electric unit. 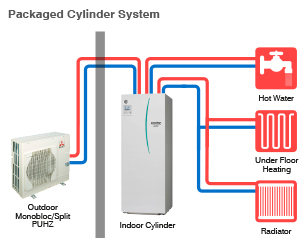 New Generation Zubadan provides powerful heating in cold regions where most heat pumps lack in performance. Zubadan's rated heating capacity is maintained even in outdoor temperatures as low as -15°C, with guaranteed heating operation at -25°C outdoor temperature. That means Zubadan can be trusted to provide comfortable heating during severe winter months. Furthermore, faster tank heater times are achieved in low ambient temperatures compared to standard models temperature. Zubadan is available on our 8kW – 14kW models only. State of the art energy monitoring and management of the Ecodan Heat Pump System means families now have the visibility and freedom to efficiently manage their overall household power consumption for heating and hot water. Energy monitoring means households can now easily take advantage of off-peak tariffs, giving them the ability to save even more on their power bill. Auckland Food Show LX French Door Designer Series Competition Winner Announced! We were there again this year to showcase our sleek Multi Drawer Fridge Range of all shapes and sizes while having a little fun, with buyers simply guessing how many apples were in the Vitalight Humidity Drawer to be in to win a Mitsubishi Electric LX French Door Designer Fridge in either silver or black of their own. We are pleased to announce our winner was Harneet Kaur who won for herself a luxurious Black LX French Door Designer Series Fridge for herself! So, we thought it was time we caught up with her to see what she likes so much about her brand new LX French Door Designer Series Fridge! What drew you to our stand at the 2018 Auckland Food Show? I really liked the Designer Series Fridges on display at the Food Show. Their colours were really different which captured my attention! What colour LX did you choose and why? We chose the Black LX Fridge because we have always had silver or white fridges in our kitchen. By having a black fridge, it’s something a little different and non-traditional so makes a real statement in our kitchen. Our kitchen is an open plan style with an island bench. What positive impact has the LX made in making your kitchen the hub of the home for entertaining and family dinners? Our new fridge has given us plenty more storage especially for fruit and vegetables which is great! What is your favourite feature of the LX so far? We love that it has a veggie drawer that is separate from the rest of the fridge giving us more room for more fruit and veges. Why is the Vitalight Humidity Drawer your favourite feature? We now have a lot more storage in our fridge and the separate veggie drawer is a hit in our house. What is one feature you would recommend to anyone thinking of buying an LX Fridge for their home? The larger capacity is great as you have more space to store more food. Congratulations Harneet, we are glad you enjoy your new LX French Door Designer Series Fridge! For more information on the LX Fridge click here. This is a fantastic result and a true reflection of how ingrained the Mitsubishi Electric brand is in the minds of New Zealand consumers. Having won the same award in 2015 and 2017, and as a runner up in 2016, Mitsubishi Electric is proud to be bestowed with this honour once again. 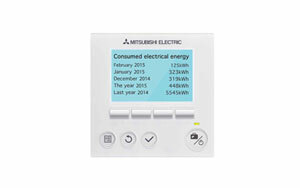 Winning the most recent Readers Digest Most Trusted Brand Award cements Mitsubishi Electric as the brand that New Zealanders continue to trust to provide them with energy efficient, quiet, reliable performance and comfort when they need it most. Mitsubishi Electric Heat Pumps have always been designed with heating in mind, but our systems also keep New Zealanders cool all summer long. By focusing on warmth, Mitsubishi Electric Heat Pumps excel at what New Zealanders expect them to do – keep them warm in winter. A heat pump is a long term investment in comfort and health, so it’s imperative to invest in the best. Trust is built upon quality, reliability and integrity, all of which are core values of Mitsubishi Electric which reassures consumers that they are making the right decision on their investment. For over 19 years, Readers Digest have carried out this survey with consumers to find out what brands, products and services are important to them in motivating their buying decisions and, as we are creatures of habit, their long-term loyalty to a brand. Here at Mitsubishi Electric we pride ourselves on the products we sell and the Authorised Dealers we work with. We would like to take this opportunity to thank all of our Authorised Dealers for your loyalty over the years, as without you and your support, we could not have achieved this accolade. This award is a testament to our joint achievements in the heating and cooling industry, and we look forward to building on this trust and loyalty with New Zealanders in 2018 and beyond. This year at The Auckland Food Show, visitors experienced delicious treats from around New Zealand, culinary equipment to up their cooking game, and the chance to win a brand new Mitsubishi Electric Designer Series Refrigerator. To be in to win, visitors guessed how many apples were in the Vitalight Humidity Drawer of the CX370 Designer Series on the Mitsubishi Electric stand. Out of hundreds of entries, 18 people guessed the correct number of apples (92), and our winner was randomly selected from these correct guesses. Congratulations to our winner Fiona Mitchell, who chose the Stainless Steel colour option for her new CX370! The team at Black Diamond Technologies Limited is proud to announce that BDT has been awarded the Wares Heating and Cooling Supplier of the Year Award for 2016. Each year, Wares Magazine, the voice for the Retail Appliance and Electronics industry in New Zealand, recognises outstanding industry suppliers of products to the appliances and consumer electronics retail sectors. 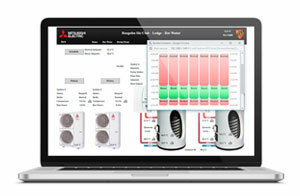 As the exclusive distributor of Mitsubishi Electric products in New Zealand for over 37 years, BDT’s aim has always been to provide New Zealanders with world leading, technologically advanced products of the highest quality and reliability, underpinned by exceptional local customer service and support. The team at Black Diamond Technologies Limited are proud to have been awarded the Wares Heating and Cooling Supplier of the Year Award for 2016. We would like to take this opportunity to thank all of our retail partners for their loyalty over the years, and understand that we could not have achieved this accolade without your support. This award is a testament to our joint achievements in the heating and cooling industry, and we look forward to building on this accomplishment with you in 2017 and beyond. Renovating? Make a style statement with your home heating! Spring is a great catalyst for home improvements and renovations. It’s the time of year we start to look and think about how we can improve on issues that may have bothered us all winter long and get these fixed once and for all. Adding or updating your heating system as part of your home renovation plan is worth considering during this time, especially if you are contemplating installing a heat pump. 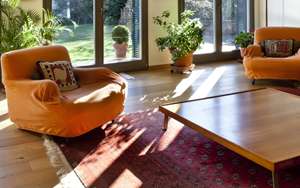 Not only do heat pumps provide energy efficient heating during winter, but also cooling comfort throughout summer, ensuring your home investment is a worthwhile one. One of the most rewarding aspects of a renovation is transforming spaces by injecting your own personality into the home. 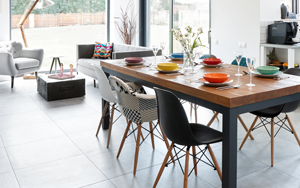 Colour selection, accessorising and furnishing layouts all add to the overall design aesthetic, but successfully integrating large heating appliances into this carefully coordinated interior can often been a real challenge for home owners. The new Designer Series High Wall Heat Pump Range from Mitsubishi Electric has changed this. Available in a range of contemporary colours including Glossy White, Matte Silver and Rich Diamond Black, now you can truly reflect your design style; whether you want a bold statement or a sleek unassuming look. If you are looking to make a bold statement, Rich Diamond Black will feel right at home on feature walls in soft blacks, dark grey and charcoal shades. The Glossy White colour option lends itself well to interiors based around timeless neutral hues where an understated seamless look is desired. The Matte Silver colour choice highlights the sharp edges of the slimline heat pump profile. Its versatile finish works well with the emerging colour trends for 2017 inspired by metals, stars and the cosmos. But the Designer Series Heat Pump Range by Mitsubishi Electric is not just a pretty face. Underneath the award-winning slimline casing, a host of advanced features make this range cutting-edge with exceptional energy efficient heating and cooling comfort. 2 models have been awarded the Energy Star® Mark, making them some of the most energy efficient heat pumps available in New Zealand. With whisper quiet operation starting from a low 21 dBA (in Quiet Mode), the range is ideal for bedrooms and living rooms. Advanced filtration improves air quality, reducing airborne bacteria and allergens; ensuring the air in your home is not only comfortable, but clean. The 7-Day Controller that comes as a standard maximises energy efficient comfort and convenience, with the ability to program up to four time and temperature settings for each day of the week. The additional option of Wi-Fi Control means you’ll never have to return to a cold home again – no matter where you are. There is no longer a need to compromise when it comes to home heating. With superior energy efficient performance and looks to match, a heat pump doesn’t have to be an intrusive appliance on your home walls, but a statement in design, comfort and quality. 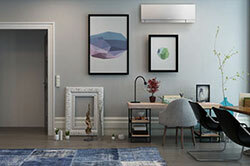 To learn more about how the Designer Series Heat Pump Range by Mitsubishi Electric can transform your next home renovation visit our website.